The Koch Brothers, supposed champions of “local control,” are once again trying to influence Jeffco elections–in this case, the mill and bond. For what reason? If the graphic here looks familiar, it’s because it is. We used it last year as the Koch Brothers poured money in from the outside in a wildly unsuccessful attempt to save the inept and controversy-ridden school board posts of Witt, Williams, and Newkirk. Well, the Koch’s network has so much money in it, they don’t know where to spend it, so they’re back and taking aim at Jeffco…again! No one will forget the fact that the Koch Brothers and their political machine, AFP, directed hundreds of thousands in expenditures in Jeffco to prop up a school board majority that they probably never even met. The results had to be one of their worst investments ever: a 2-to-1 humiliation with voters rejecting their ideological intervention. We thought that they’d think twice about meddling in a place as fiercely independent as Jeffco again. Looks like we were wrong. Check this out: a full-on press by the Kochs to do what? Prevent the funding of our schools on a local level, even though the state and TABOR prevent adequate state funding of schools. The Kochs and their allies profess to prioritize “local control” but then they’re working against communities funding their schools when the state can’t. What’s really going on? “First, PERA – that’s mandated at the state level, not the local level. Concerns about PERA need to be addressed at the Capital – not taken out on local school districts. “What is the basis for allegations that funding isn’t going to the classroom? The latest data from the Colorado Department of Education shows that for the 2015-16 school year, Jeffco had 4787 teachers and 412 administrators. Of the 412 administrators 307 were principals or assistant principals in Jeffco’s 153 schools. That leaves just 105 administrators at the Ed Center. In comparison, DPS, which is very close in size to Jeffco, has 813 administrators. “The district is very transparent with where the bond funds will go and where the mill levy funds will go. Please do your own research to understand how 3A & 3B deserve your YES vote! Jeffco graduate, grandparent, community leader and education advocate, Marta Murray, reminds us that the Sunshine Review recognized Jeffco for financial transparency. “Now – more than ever before – we need your help! 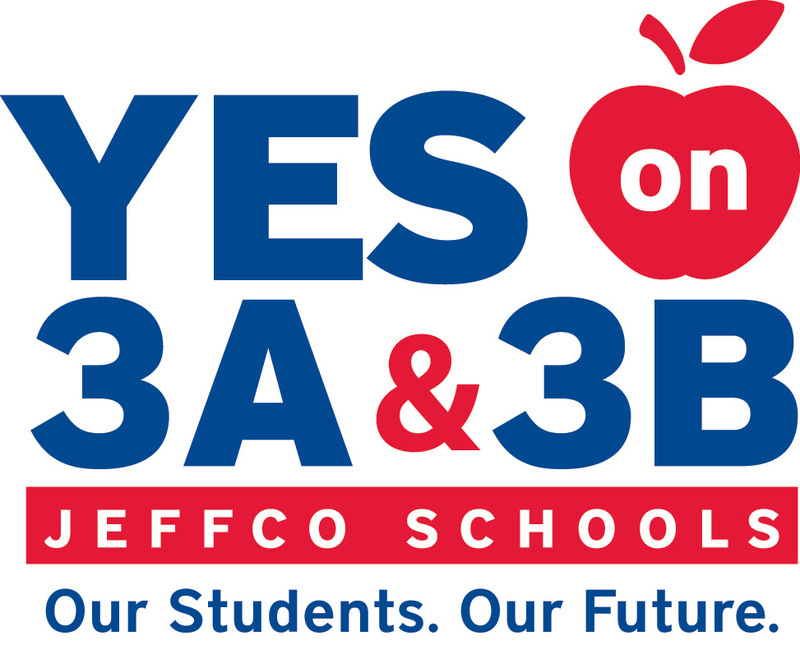 Yes, we need you to vote YES on 3A and 3B. But we also need you on social media, on the phone and walking door-to-door to share information on the benefits of a YES vote – and the ramifications of a NO vote! With the AFP announcement of their impending social media strike against school districts across the state, it’s imperative that we have everyone on deck in this final stretch! Please sign up to walk – not only in your neighborhood, but in others across the district. Please also sign up to phone bank! Can’t Walk on Saturdays? Days or times for Phone Banking Don’t Work for Your Schedule?! Write Nate or Chris – they can provide turf to walk and people to call on your schedule! Boots on the Boulevard #Yeson3A3B Style! Dust off your boots and get back out on the boulevard! Please join us this coming Friday from 3:30-6p for Boots on the Boulevard 4.0!! Make your own signs supporting 3A and 3B or bring your yard sign! Below are the intersections for this action. Go to the one that is most convenient for you. See you on the Blvd. this FRIDAY. “One can only do so much”!